This South African climber or scrambler can be found just outside DB 21 as well as elsewhere. It has dark green, glossy, compound leaves with 7-9 leaflets, the margins of the leaflets are coarsely toothed. 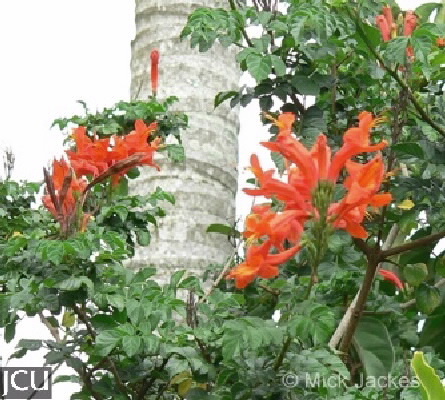 The funnel-shaped orange-red flowers to 5 cm long, form large clusters, stamens and style exserted.